Former Arsenal striker John Hartson says Manchester United should sack Louis van Gaal and appoint Jose Mourinho. United are on their worst run in 17 years and haven't won in six matches, with their latest defeat being a 2-1 home loss to Norwich City. 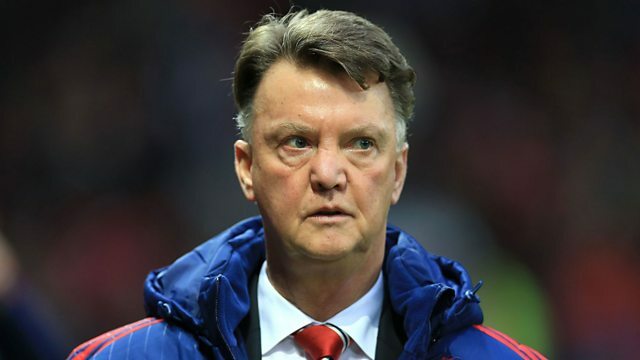 “I would get rid of him, he’s taken them backwards,” Hartson said of van Gaal. “’I'd change it now and I’d bring Mourinho in. “I wouldn’t be giving this man another penny to spend. He’s spent £250million and they’ve gone backwards," he added. Mourinho is available after being sacked as Chelsea manager earlier in the week. This clip is from 5 live Sport, Sunday 20 December 2015.